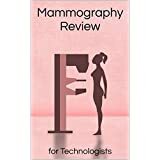 Mammography Casebook presents 100 complex breast imaging cases in a question and answer format, ideal for self-testing and review. Each case is presented in a concise way, with two pages devoted to review of the patient's imaging studies and the following two pages to analysis and categorization of findings. The clinician will benefit from thorough review of the relevant standard views as well as from discussion of the usefulness of techniques, such as spot compression and coned views. The author classifies image findings using BI-RADS criteria and provides differential diagnoses and commentary on eventual histological results that will help the radiologist manage all clinical situations. Additional image sequences illuminate concepts in advanced procedures, such as MR-guided core biopsy or specimen radiography. From initial screening to histology to treatment options, this casebook will help the radiologist develop the knowledge and skills needed to examine for and accurately diagnose both common and rare breast tumors.